The Vice Chancellor, University of Lagos, UNILAG, Professor Rahmon Bello has said that adequate compensation must be made by Eko Electricity Distribution Plc, EKEDP to the family of late Miss Oluchi Anekwe. Contrary to reports that late Oluchi was not professionally handled when she arrived at the Medical Centre, Bello disclosed that the University panel has established that both the nurse and doctor on duty confirmed she had no pulse on arrival and she was brought in dead to the Medical Centre. 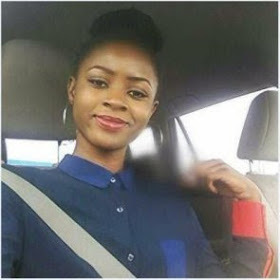 On Tuesday, September 8, 2015 at about 7pm an 11 KV overhead transmission cable belonging to the EKEDP, which supplies power to Onike and other neighbouring communities around UNILAG fell and electrocuted Oluchi Anekwe, a 300-Level Accounting student.